If you loved your Italian city break, why not invest in one of Italy’s stylish cities? Easy to reach, plenty to do and surprisingly affordable, take a look at the luxury homes on offer. Italy has a lot to offer anyone looking for a city property in Europe that combines elegance and historic charm. There are some truly unique properties available, from stylish city apartments to Palazzo houses with historic features. Italy’s cities are in great locations at the heart of Europe and the Mediterranean. With every budget airline flying here, travel from any city in the world with ease, as well as the UK. The rental opportunities are, of course, immense, and so is the long-term capital growth. There are dozens of beautiful cities where you will find luxury apartments and historic Palazzo houses. 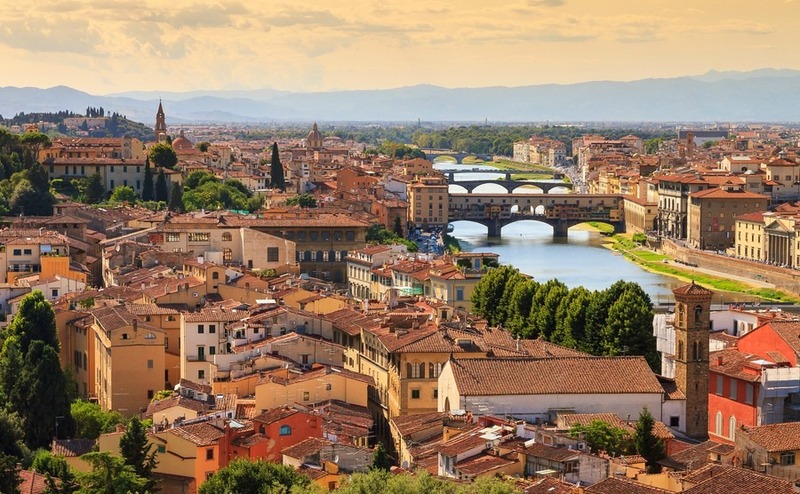 For this article, we are focusing on Rome, Milan, Venice and Florence. All have culture, art, cuisine and shopping to die for. What makes these cities so special, however, is that they are bucking the property market trend: prices are beginning to move upwards here, at last. If you want a city home but have a more suburban budget, you’re going to need all your negotiating skills! Read our guide, How to Negotiate Abroad. In the capital city, there is history at every turn. Alongside the remains of the Roman Empire, the city centre has Baroque and Renaissance buildings, converted into luxury apartments and penthouses. 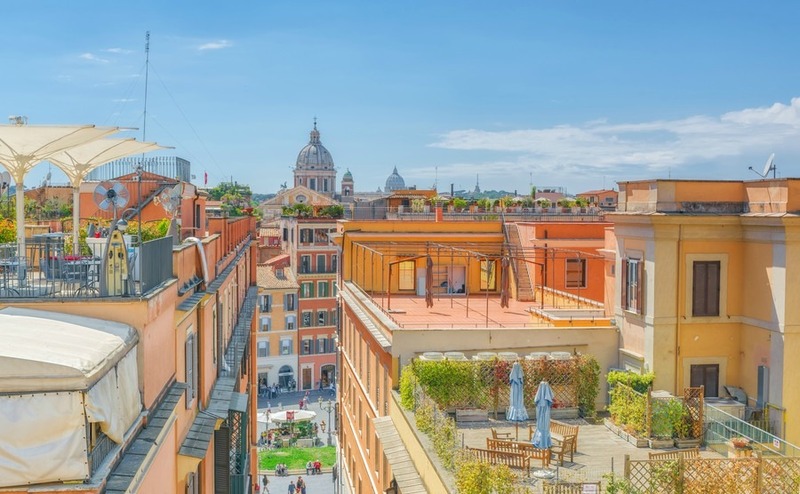 Some of the most sought-after properties have views over the Spanish Steps, Piazza Navona, the Pantheon or the Trevi Fountain. You can also find elegant 15th Century Palazzos with hardwood floors, ornate fireplaces and frescos. Other exclusive villas and hotels can be found for sale on the outskirts of the city. The central, historic centre is more expensive, but then you are living in the attics of the houses from ancient Rome. After the Empire fell, silt from frequent floods from the Tiber led the street level to gradually rise up, engulfing the lower floors of houses. The residents simply built on top. So the streets and houses are just the same as 2,000 years ago, but a couple of two storeys higher up. Quite a thought! €5,500 per m2 is half the price of London, and still a third less than the 2007 level. You’ll pay around €8,000 per m2 for an apartment in historic central Rome, but some areas are more affordable than others. 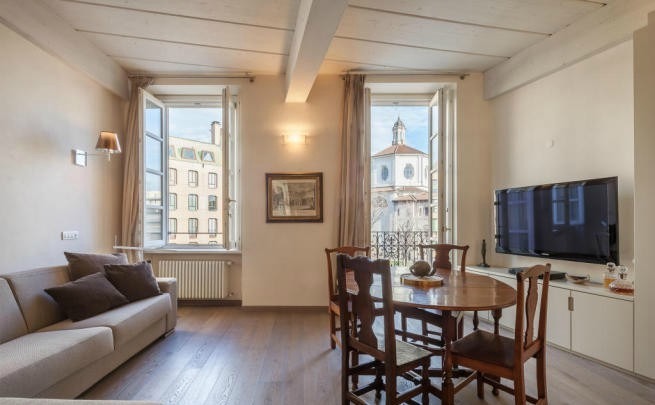 One affordable area to watch is the trendy Quartiere Trieste, a favourite of students and yuppies, where prices are closer to €5,500 per m2. That’s half the price of London, and still a third less than the 2007 level. In the suburbs you might pay under €2,000 per m2. 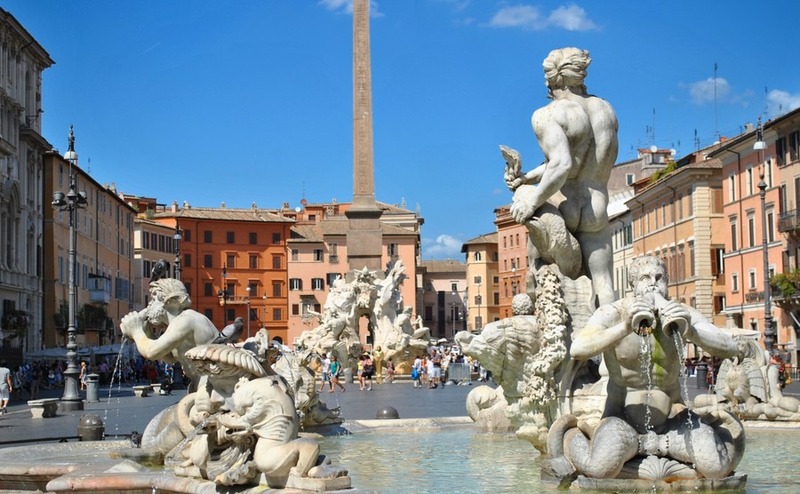 According to Savills, transactions are starting to rise again in Rome. Can prices be far behind, or have they already begun to rise? 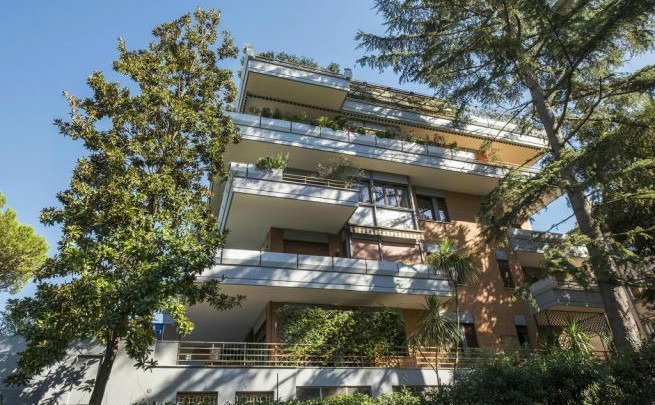 Check out Rightmove’s selection to see what is on offer in Rome at the luxury end of the market. Attractive properties don’t always have a high price tag. This studio apartment could be your perfect pied-a-terre for just €155,000. It is surrounded by greenery yet easy to reach from the city centre. Yes, it’s small (25 metres) but who wants to be inside an apartment when you have all of Rome to discover? Milan is considered by many to be the economic and financial capital of Italy. It is also the city of fashion and design. Having quality healthcare and good international schools too, it’s a good city to move the family to. The city offers prestigious homes in Liberty (art nouveau), Neo-classical and modern buildings. According to one website’s analysis, prices are finally on the rise (by around 1.5% in the summer of 2017 alone). More and more properties are selling – transactions powered ahead by 22% in 2016. 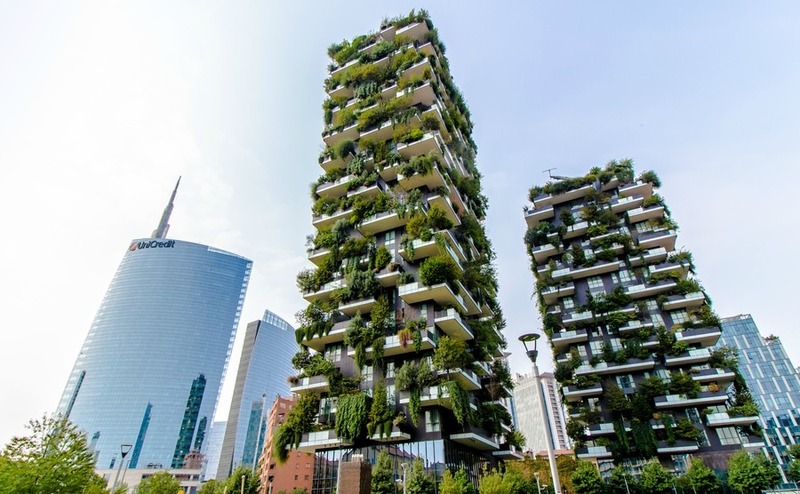 Savills report that: “Prices across Milan average €3,400psm, while prime prices can reach €13,000psm”. The Global property Guide places prices closer to €7,800 in the city centre, very similar to Rome. That translates into a well-positioned apartment in a historic building starting at around €500,000. This studio apartment is spacious (60 square metres) and seriously central, close to the Duomo and the Milan University. It has a concierge service and a balcony overlooking the square. It also has a parking space, which is not only very handy in this part of town but means you can be up to Lake Como or the ski slopes in an hour or two. Rich in art, fine architecture and culture, Florence is the birth place of the Renaissance. It’s the city whose wealthy benefactors not only built beautiful homes, but encouraged local artisans like Leonardo and Michelangelo to become the world’s greatest artists to decorate them. They created one of the most awe-inspiring cities in the world. Florence’s architectural treasures include “il Duomo”, the Uffizi Gallery, The Ponte Vecchio bridge, Palazzo Vecchio and the Pitti Palace. Not just an open-air museum, Florence is a modern, thriving city of 380,000 people. It is surrounded by the gorgeous Tuscan countryside, with rolling hills, vineyards and artistically bucolic villages on the doorstep. Luxury two-bedroom apartments in historic buildings start at around €360,000. Properties in prime locations in prestigious buildings with architectural features, such as frescoes and marble tend to be over a million. Any property with that classic view across the roof tops towards the dome of the cathedral will be pricey! 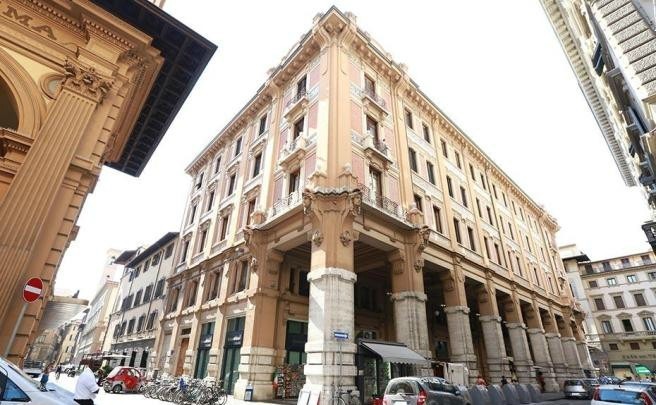 This stunning, Liberty-style building has three bedrooms and is surrounded by the Florentine fashion district. It has an elevator and underfloor heating, but most of all, it looks great! The Duchess of Cambridge spent a year in Florence as a student, and if she ever comes to visit, this strikes us as being a property fit for a duchess. It is on the market for €1.05 million. Prices have been bumping up and down since 2008 but the latest data shows that they are rising by around 4 or 5%. Venice, with its romantic canals and alleyways, is a highly sought-after location for luxury apartments, particularly those that are in one of the prestigious Venetian Gothic palaces which line the Grand Canal. Prices have been bumping up and down since 2008 but agents are saying they have bottomed out. Yes, they always say that but now it seems they may be right! The latest data shows that they are rising by around 4 or 5%. Clearly, a property here will have massive rental appeal, but do beware restrictions that may come in on AirBnb and the like. Local residents and hoteliers have been protesting against the growth in unofficial short-term rentals. Popular areas include Castello, which is close to the Basilica of S. Giovanni e Paolo, and also San Polo, Santa Croce and Dorsoduro by the Accademia and Guggenheim museums. Outside Venice, along Riviera del Brentare, are luxury estates and Palladian villas. Prices are around €9,000 per square metre for prime areas, €6,000 to €7,000 for slightly off-centre areas such as Cannaregio. 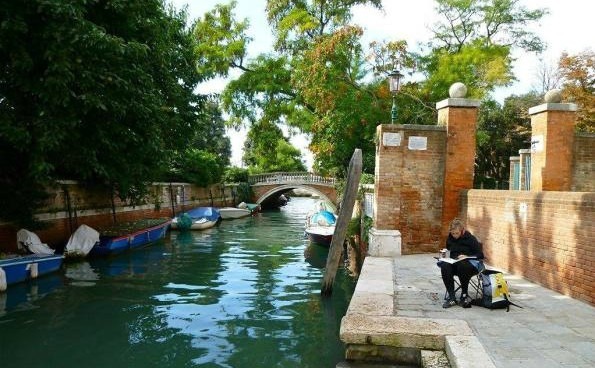 If you have the budget, Palazzo Barbarigo has an amazing 677m2 of living space and is directly on the Grand Canal. It is currently for sale for almost €9 million. Too pricey? Then how about living here? 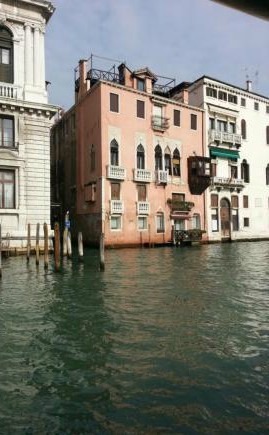 This property shows that slightly off the main tourist drag, ordinary life continues, albeit with a watery Venetian twist! It has one bedroom and is on the market for just €165,000. Could you see yourself out there painting by the waterside? The decline and fall of Italy’s housing market has stopped in the grandest and most historic cities. Prices are beginning to rise and buyers are returning. Elsewhere in the country, it is still very much a buyers’ market. So where will the next phase of the recovery begin? Possibly in Italy’s smaller but similarly beautiful historic cities. Siena, Verona, Turin, Genoa and Bologna all hold great potential in 2018. In all of them you will find historic buildings worth exploring. This is an area where “kerb appeal” doesn’t really apply. Their facades may seem narrow and unimpressive, but once you step through the large wooden doorways, you will often discover large stone or marble stairways leading to huge and luxurious apartments with high ceilings, frescoes and beautiful stone fireplaces. Has yours just been waiting for you all these centuries? 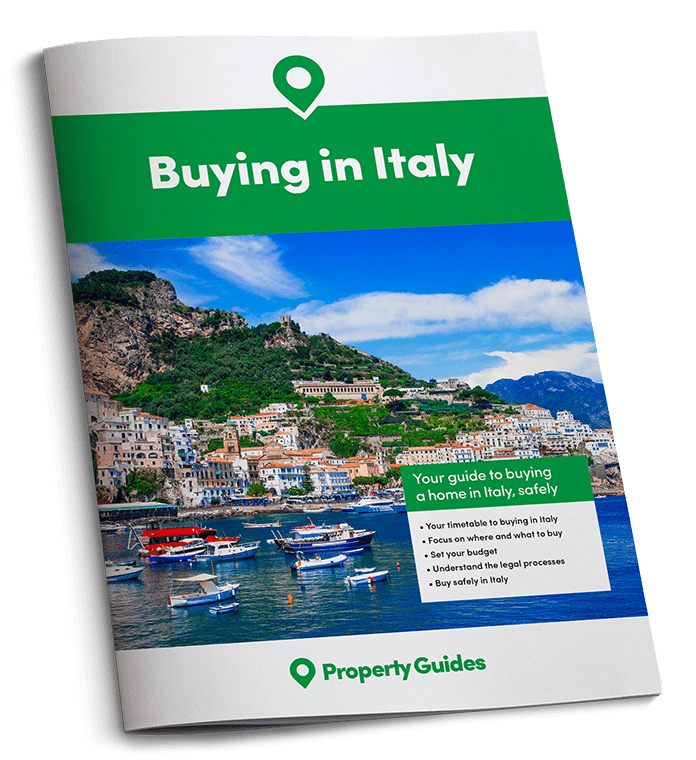 If you’re ready to buy a home in Italy, don’t miss out on free tickets to Your Overseas Home in London in two weeks’ time. It’s a new style of overseas property show, where those serious about buying can get detailed information and introductions to trusted lawyers, agents and currency providers. Click here to apply.